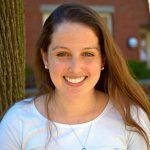 Carly Barbato joined the Deerfield community from the University of New Hampshire, where she served in many roles during her tenure, including assistant women’s soccer coach, academic support coordinator for student-athletes, and assistant athletic director for compliance. 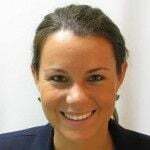 At Deerfield, Barbato works in the Athletics Office as the Sports Information Director and coaches the girls varsity soccer team. Barbato has ten years combined coaching experience. A native of Ottawa, Ontario, Barbato played collegiately at St. Lawrence University, starting at goalkeeper in all 66 games from 2003-06. She helped captain the team in her senior season and earned All-Liberty League honorable mention in her junior and senior years. 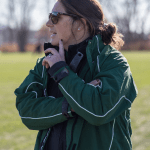 She later earned her master’s degree in Educational Leadership from Loyola University Maryland, where she also served as an assistant women’s soccer coach - specifically coaching the goalkeepers. She helped the Greyhounds to a Metro Atlantic Athletic Conference title and automatic NCAA tournament appearance with Greyhound goalkeeper earning MAAC Defensive Player of the Year. She and her husband Brian live on campus in Field Dorm with their two sons, Charlie and Teddy.